Founded in 1982 by David W. Mortara, PhD, Mortara Instrument was born with a guiding philosophy: design to a need, keep it simple, and make it economically accessible. 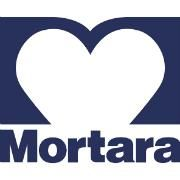 Building on this philosophy, Mortara Instrument has created a complete line of electrocardiography products that are well suited to today's health care market. The company is headquartered in Milwaukee, Wisconsin and has grown since 1982 to include offices in Australia, Italy, Germany, the Netherlands, and the United Kingdom. Products are marketed worldwide through subsidiaries and distribution partners. Mortara Instrument is ISO 13485 certified.